Marianne Ajemian, a partner in the Real Estate and Finance Department, has been selected as one of the “Top 50 Women in Boston Commercial Real Estate” by Bisnow. A reception for the honorees will be hosted by Bisnow on December 15. 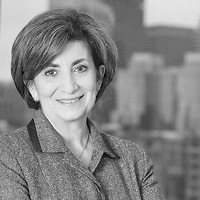 Marianne will be featured in a special editorial series entitled "Boston Power Women 2014" in the weeks leading up to the cocktail and awards reception.